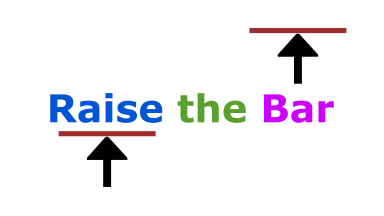 Raise the Bar is a series of articles wherein I talk about lessons I've picked up over the course of my rather varied career taking on roles in engineering, program management, architecture and technology management. I've been working at iStreamPlanet for almost a year now and it's been a fun roller coaster ride the entire time. One of a handful of reasons I decided to work at iStreamPlanet was that over the course of my interview, I got a strong sense that the engineers I spoke with truly enjoyed working there. When I asked them about problems they faced at their job, I got very straight answers; nothing canned or evasive like I had encountered at most other places I was interviewing with around the same time. I recently changed roles at iStreamPlanet and became officially responsible for running a team. One of the first changes I've been able to effect, with enthusiastic support from fellow engineering directors and our head of engineering, is to set up a cross-team mentoring program. Kristy Tracer, who leads our site reliability engineering (SRE) team, was a universal early pick. I had an interesting conversation with her earlier today, which in a way, serves to emphasize a prized quality in high-performing engineers -- constantly raising the bar. The chat was in the context of making improvements; how a (short) period of a problem festering followed by some trigger pushes her over the line to actually force a change in behavior to eliminate that type of issue from recurring. We function best when our habits ennoble us. ➜ I can only walk into a room and see a candy wrapper on the table so many times before I have to pick it up and toss it into the trash can. But it doesn't end there. I start to think about why the candy wrapper wasn't put into the trash can right away and when I look at the room, it becomes obvious. It was easy to leave the candy wrapper on the table because there was no trash can in the room. That's an easy problem to solve - put a trash can in the room, right next to the table; this makes it easy to do the right thing (put the candy wrapper in the garbage) and just that much more difficult to do the wrong thing (leave it on the table). It's not enough to make it easy to do the right thing, we have to make it hard to do the wrong thing. "We function best when our habits ennoble us." As we develop such habits, we raise the bar - a little bit at a time, each time - and it accumulates as we do it repeatedly. ➜ Software suffers from the problem where it's acceptable to have a 15-page instruction manual to do simple things and the barrier to entry for software developers wanting to contribute to opens source projects is needlessly high. We, as engineers, are part of the problem, in that we've accepted that it's okay for the barrier to entry to be that high, since we're used to dealing with complexity as part of our jobs. ➜ We need to design our software with an easy button. Thanks to Kristy for reviewing this post and for permission to write about our conversation and quote her about ennobling habits.